On April 10th, there was a Waikiki Safe Walk event with 50 people doing a walk audit of Waikiki to identify pedestrian safety issues. 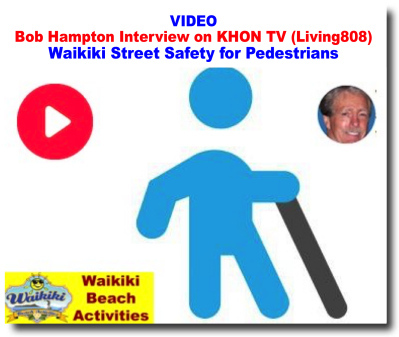 Watch video of Bob Hamptom discussing pedestrian safety. 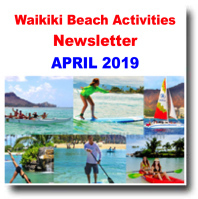 Online bookings are offered for all of WBA's Waikiki beach activities, tours and lessons including it's popular Surf Lessons and Port Waikiki Cruises aboard the Spirit of Aloha. Guests can review details of any tour or activity, choose their dates from the automated online calendar, and securely check out without having to leave the website. Learn to surf where Hawaiian royalty and legendary watermen like Duke Kahanamoku surfed. Our professional instructors will get you up and riding on your very first lesson! Our instructors are state licensed and certified in lifeguarding, first aid and CPR. You will love this catamaran cruises in Waikiki. From breakfast sails to moonlight evening sails. Snorkeling, swimming and so much more. Make your online reservation today! 3/1/2019 - Why do visitors return year after year, here is the answer. Since 1990 WBA has held a "No Carbon Footprint" policy. "Jake was absolutely amazing! I purchased glasses and asked if I could return for the glasses holder & receipt. Jake set them aside, however I was not able to return before 5pm to pick-up. I returned the next day and not only did he still have my items, he remembered me by name! Excellent customer service, and very welcoming / helpful!" "Caesar always greeted us with a smile. He was so encouraging to our 5 & 8-year old's! Our 5-year-old was timid in the water and on the slides at first but with a little cheer from Caesar she was all in! We have a little fish now! Thank you for the amazing Aloha Service!" "Caesar made our trip!" "Great Service." "Mackenzie's uniform was professional and neat in appearance with name tag visible. Was greeted right away. She seemed very tentative of her surroundings. Friendly of other customers and children. Upon approach she was smiling and welcoming.I proceeded to ask her questions of what she recommended to do in the village.She quickly started informing of the area and presented a map.She pointed out attractions and asked what I might be looking for.She was polite and professional and gave a friendly goodbye.Her appearance was neat, and her name badge was well presented." "I returned to the lagoon and Beach Boy Junior recognizes that I would like my rented chair back without prompting. He is very kind and asks me if I would like it in the same spot. I try to be indifferent and difficult and ask him to put it wherever he likes, he continues to make me feel like my opinion is valued even though I have given him the opportunity to do as little as possible. Junior nice, tried to upsell an umbrella, polite with aloha, waved me the shaka.."
Hilton Hawaiian Village® Waikiki Beach Resort does their best to always offer you the lowest price, but if you find a lower qualified price, theywill be happy to match it and give you 25% off that stay. Terms Apply. 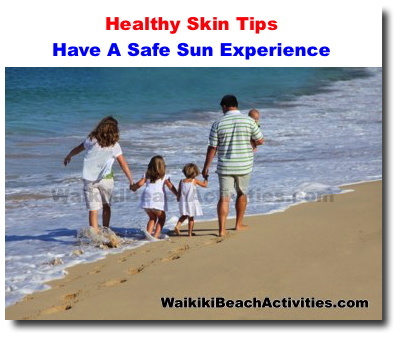 Great tips to stay safe on Waikiki beaches. 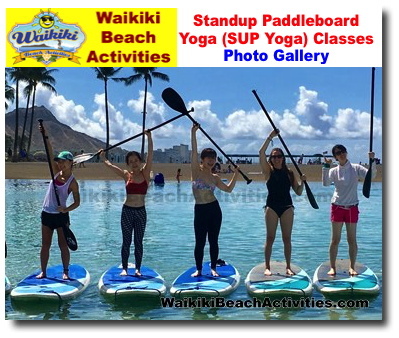 View Standup Paddleboard Yoga (SUP Yoga) class action photos in Waikiki beach. Enjoy the beauty of the lagoon and achieve a state of zen, with this unique total body workout. 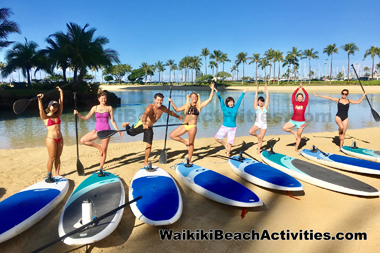 Like a regular yoga class, Stand Up Paddleboard Yoga incorporates breath work, sun salutations, back bending, and even inversions if you're up to the challenge. The growth of Waikiki as a tourist destination came about in the early 1920's. Set sail on an expedition to Diamond Head while you take in the sights and delights of Oahu's natural and city scenery. See marine wildlife in their natural environment and Waikiki Beach from a perspective you can only get at sea. Enjoy the beauty of the lagoon and achieve a state of zen, with this unique total body workout. Like a regular yoga class, Stand Up Paddleboard Yoga incorporates breath work, sun salutations, back bending, and even inversions if you're up to the challenge. 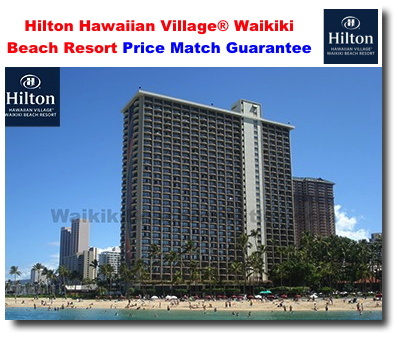 Hilton Hawaiian Village® Waikiki Beach Resort. Read article from our Chairman of the Board, Bob Hamptom, on Ambassadors of Aloha. 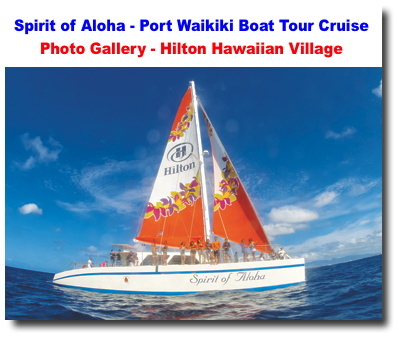 Photo gallery of the new Spirit of Aloha. Explore the Waikiki coastline aboard The Spirit of Aloha, a modern 65-foot catamaran. Its captain and lifeguard-certified crew members are available to answer questions about the ocean, navigation, sea life and marine conservation. Great Waikiki Boat Cruise Experience! The new boat is beautiful and clean and the crew was fantastic! The intimate setting allowed the crew to really make a memorable experience for everyone. 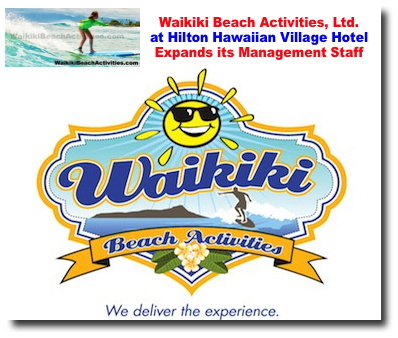 Being based at Hilton Hawaiian Village was a big advantage to having even more fun before and after the cruise. One of the highlights of my trip to Hawaii! Looking forward to coming back. 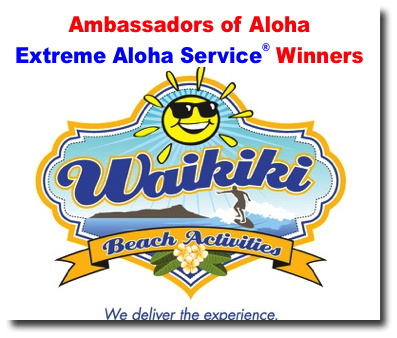 We value the opinion of the service that customers received from our Ambassadors of Aloha (AOA). 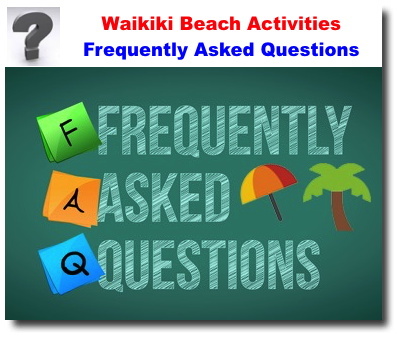 Our team member's AOA's primary goat is to provide our Village guests with Waikiki Beach Activities' trademark, Extreme Aloha Service®. 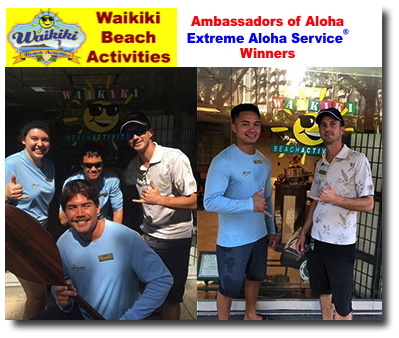 Read this staff Extreme Aloha Service Actions. Spirit of Aloha takes you to the outer side of the Turtle Canyon reef near Hilton Hawaiian Village. Also enjoy a scenic sail along the Waikiki coast/. Enjoy the best snorkeling platform as the yacht becomes your island retreat to a site inaccessible from the beach. 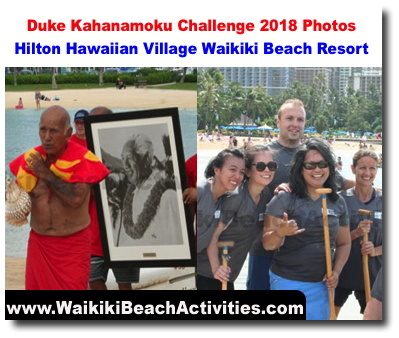 PHOTOS SAY IT ALL - The challenge is a fun, community event for both local residents and visitors that features canoe racing and ancient Hawaiian makahiki games. 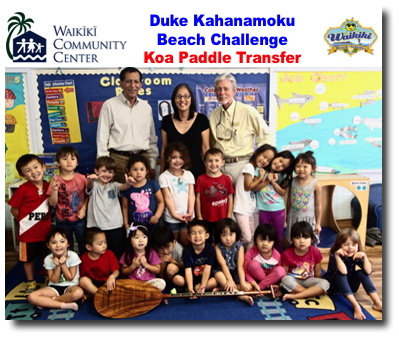 Salah Ihsan the Director of Commercial Real Estate at the Waikiki Beach Marriott Resort & Spa, returned the prestigious Koa Paddle won by the Waikiki Marriott team in 2017 to the Waikiki Community Center. The perpetual trophy is awarded to the overall winner of the Duke Kahanamoku Beach Challenge held annually at the Hilton Hawaiian Village. View our great package deal that includes Umbrellas, Chaise Lounges, adventure sale and 1 beach equipment rental.